Tomorrow Sue Chapman will be talking about Photoshop Plug-Ins and Filters (this was originally scheduled for 31 January). Next Week (11 April) is our Panel Competition. The theme is “Portraits” (which can include anything, not just humans). You are free to enter more than one panel on the topic. You don’t have to stick to the usual size, you can even mount several prints on one mount board if you wish. Bring in your panels on the night. 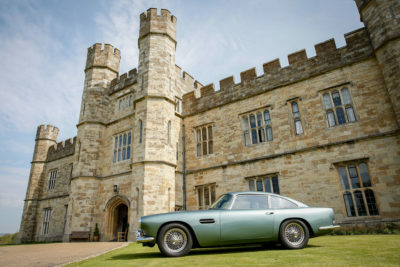 Leeds Castle – confirmed for Saturday 11th May. We’ll be sharing lifts for this outing so please let Charlotte know if you’d like to come (Charlotte.Teager@outlook.com) and if you plan on driving. Entrance is £25 if pre-booked online and includes the Motors by the Moat event. Concession prices are also available. A day trip to Hastings, stopping at Battle on the way. £30 per person to cover the minibus and driver. Please let Charlotte know if you’d like to come and get your £30 to her to secure your place. Non-members welcome but priority will go to members. Congratulations to those members whose prints and PDIs formed our judge’s selection. Please see full list attached. For those of you who were presented with cups and plaques at last year’s Annual Exhibition, can these please be returned to the Club as soon as possible, beautifully shiny clean and with their boxes. We have a couple pf vacancies for the Executive Committee. It’s not too onerous, we meet 3 or 4 times a year, so if you would like to have an input into how your Club is run, etc. speak to either Steve or Val for more info. At the briefing on Thursday 2 May we will be organising teams to take part in the theme, which will be revealed on the night. If you would like to become a team leader please speak to Chris or Steve. London Bridge’s new hotspot is packed with street food, art installations and pop-up shops. The highly anticipated Vinegar Yard comes from the team behind the buzzing Flat Iron Square. The space is filled with art installations, street food traders, pop-ups shops and bars, and a giant outdoor garden with unobstructed views of the Shard. Vinegar Yard is full of repurposed art and design, including an incredible train carriage installation. Many of the pieces have been created by British artist Joe Rush, who has made various sculptures for Glastonbury Festival, and has worked on collaborations with Vivienne Westwood and The Rolling Stones. Visitors will even get the chance to peer into Joe’s live onsite workshop, where he and his team are working on an apocalyptic mechanical sculpture that’s set to be displayed in the yard. The final Saturday of London Games Festival will once again see hundreds of games characters take to the streets of London in the very special Games Character Parade. Welcoming both video games-inspired cosplayers of all experience levels plus official mascots and characters, this one-of-a-kind games event will see iconic interactive entertainment heroes in even more iconic London locations. Time for a flutter on the horse you fancy. Boats! Racing! River! Tradition! It’s the Oxford v Cambridge boat race. Watch crews go head to head in this four-and-a-quarter mile course race. Running along the Thames from Putney Bridge to Mortlake. The women’s race is up first at 2:15pm, followed by the men’s race an hour later at 3:15pm. The key tube stations for spectators to use are Putney Bridge, Hammersmith and Kew Gardens, or use Putney, Barnes Bridge, Mortlake or Chiswick rail stations. Watch two goats dressed as ‘Cambridge’ and ‘Oxford ’race around on a farm to battle it out for the crown. The gates open at noon with lots to enjoy on the farm, including bands, booze and other fun, goat-related nonsense. The race takes place at some point between 2:00pm and 5:00pm, depending on the mood of the athletes. There’s an official bookie and sweepstake if you or your nanny fancy a flutter. Tickets from £15, kids £5. London Hat Walk – Sunday 7 April – 2:00-3:30pm. Following the success of last year’s new route they will be keeping it bright and breezy and walking along the River Thames, the heart of London. What better place to promenade in your hat of choice. Meeting outside Tate Modern, on the riverside, the walk starts with a backdrop of St Paul’s Cathedral and then walk along the Bankside, past the Globe Theatre and Southwark Cathedral, finishing at the Scoop near City Hall, in the shadow of Tower Bridge. David Lewis is organising a visit to Tate Britain’s excellent Don McCullin exhibition on the afternoon of Sunday 14 April. This major exhibition includes some of McCullin’s famous war photographs but it also covers his work at home in England, in London’s East End and the industrial north as well as landscapes in his beloved Somerset, where he now lives. There may also be time to see the gallery’s free exhibition on the work of Polish photographer Joanna Piotrowska. Please let David know if you’re interested at davidpoly@tiscali.co.uk, mobile 07816 590744. Meet at 2:30pm at the gallery’s ticket office. Join in the discussion afterwards over tea or coffee in the gallery’s café.